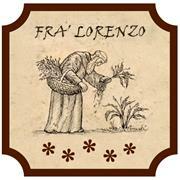 It is said that Fra’ Loreno, Franciscan friar and renown herbalist, married the lovers Romeo and Juliet. He used to gather his medicinal herbs, with whom he offered health, relief and comfort to everyone, on the green hills of Verona. Right here at just few minutes walking distance from the historical centre of Verona, immersed in the silence of an ancient olive tree garden and set in the peace and tranquility of an unspoilt environment, Fra’ Lorenzo is the ideal place for a unique and unforgettable stay.